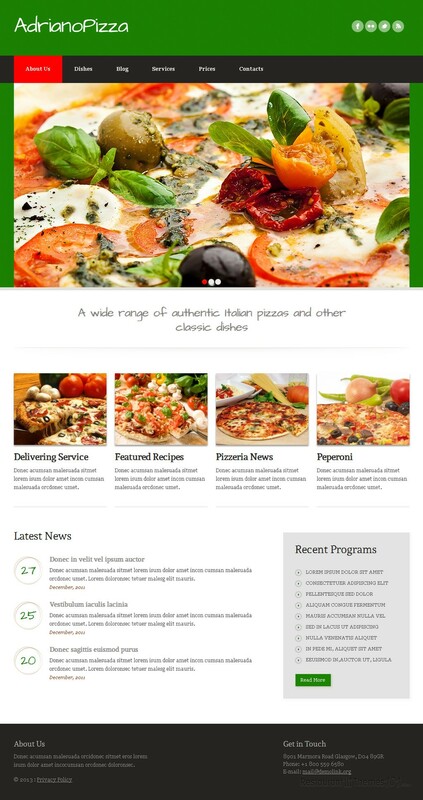 AdrianoPizza is a pizzeria template for Joomla created by Svelte. This template looks very pretty, it is easy to install, and it is featured at Template Monster. The layout of AdrianoPizza looks attractive and it was carefully designed to fit the Mediterranean spirit, with all the right colors for this restaurant niche: green, white and red. A wide slider enhances the homepage and makes a perfect area for presenting your quality photos of delicacies. Make sure you use the slider to showcase your most delicious meals and make your visitors hungry for them the same instance they enter your website. A nice intro text can be added under the slider, and this is where you can welcome your guests properly and make them feel cozy and pleasant while browsing through your website. You will be able to feature many post on the homepage and focus your viewers’ attention on what you think is most important. 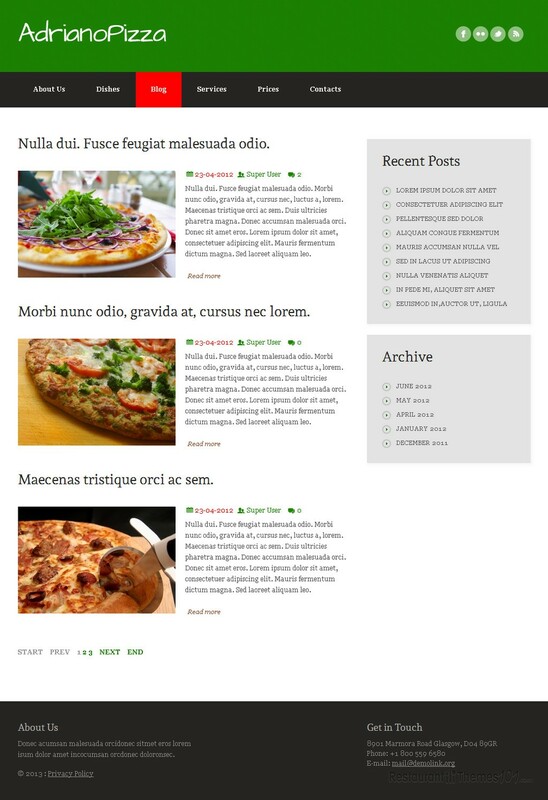 No matter if it’s your latest recipes, presenting your delivering service, your daily/ weekly specials or some new delicacy you have come up with, you can feature these posts along with resized photos and some teaser text, and link them to a full content page where your visitors will be redirected after clicking on these photos. You can also feature the latest posts from your blog section and keep your visitors updated with what’s new at your restaurant at all times. 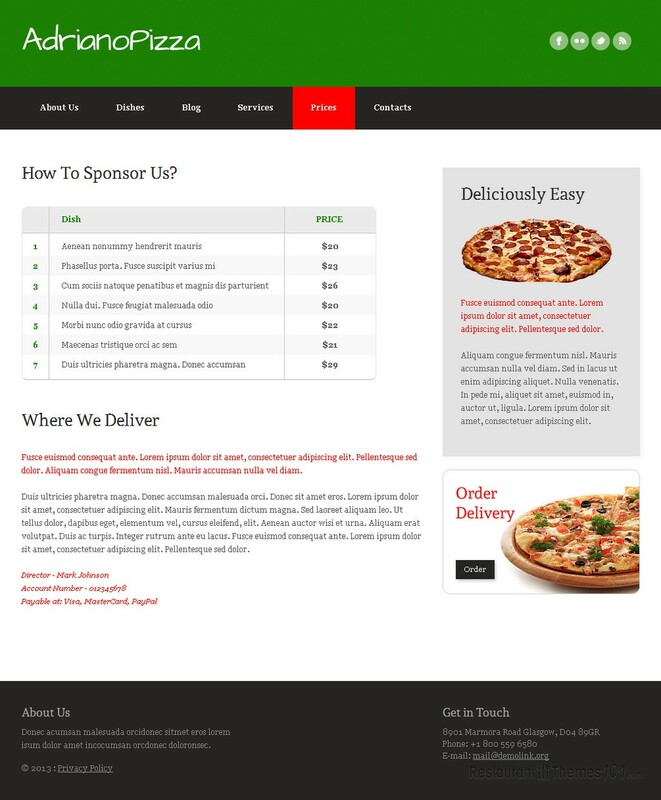 The menu this template offers is nicely organized and creating an attractive menu with photos and detailed descriptions will be very easy, even if you aren’t a skilled web designer. 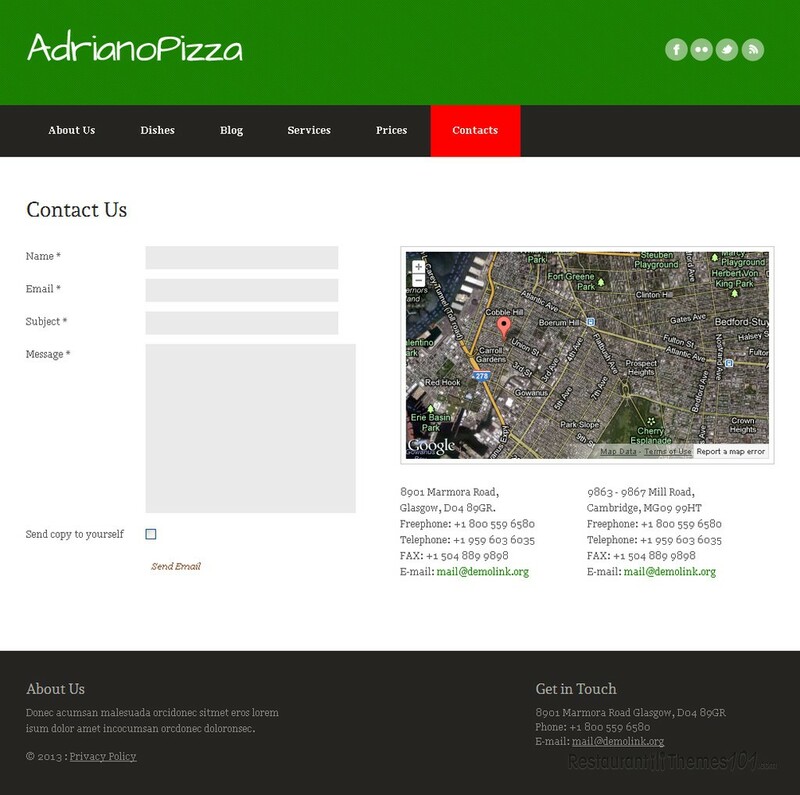 When it comes to social integration, AdrianoPizza offers the possibility of connecting your website to the most popular social networks with according buttons added. Google Maps is also featured with exact directions to your restaurant shown on a map right there on your website. A nice contact form is included for everyone to be able to email you easily and quickly. 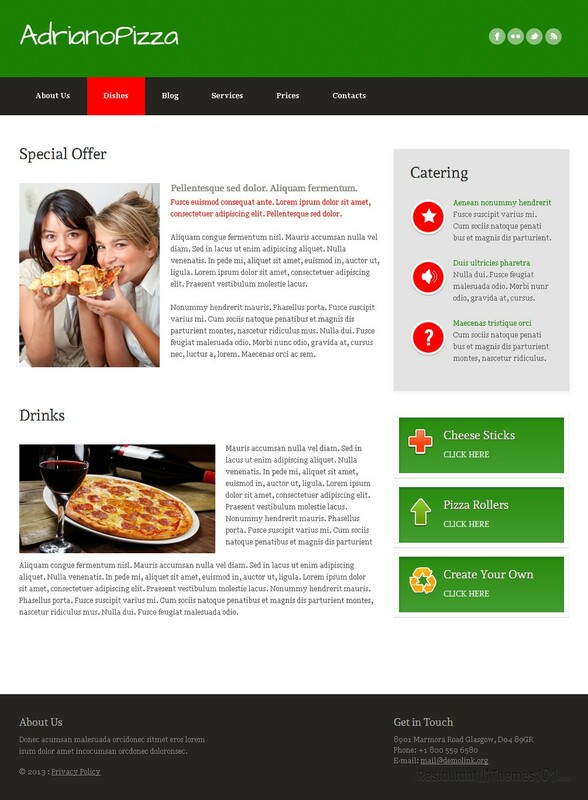 AdrianoPizza is a very modern Joomla Italian restaurant template with a typically Italian layout. It is very easy to install and customize and it looks great.